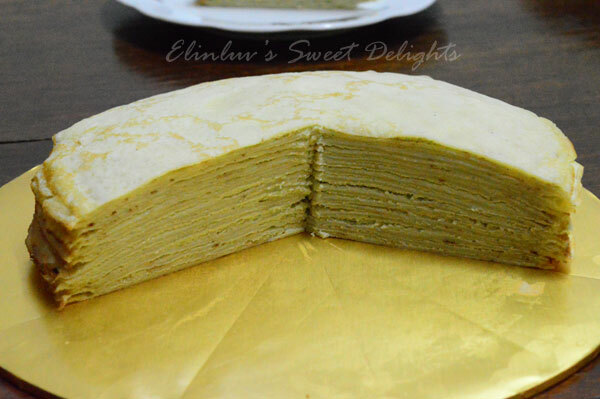 Elaine gave me a jar of green tea powder from Korea and we used the green tea powder for making the green tea cream filling....it was the most delicious crepe cake I have eaten thus far. The color of the green tea did not come out well in the photos . 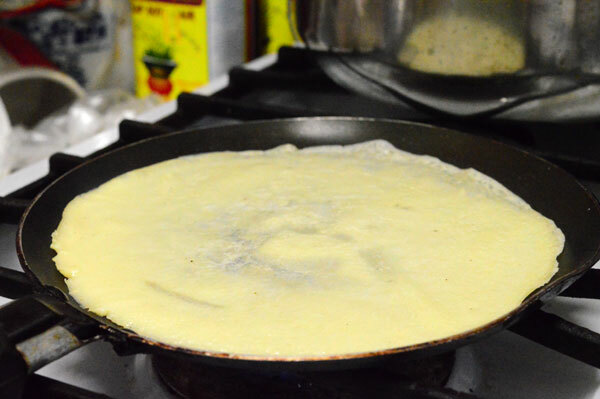 The crepes were soft and delicious. And the fragrant of green tea in the whipped cream makes it even more delicious. 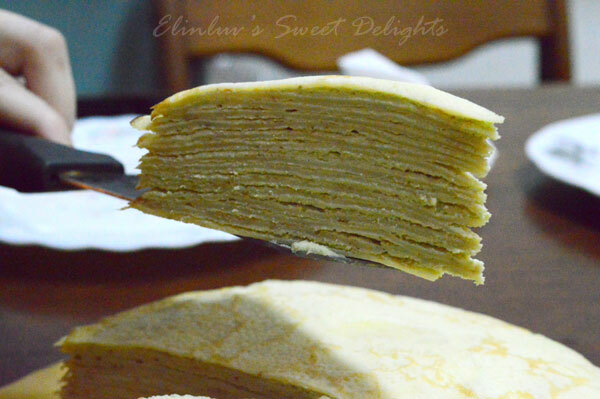 I have KIV this crepe cake for my coming birthday...maybe this time with durian cream filling :) I am salivating just thinking of it. lob sided..again Elaine nailed it ! 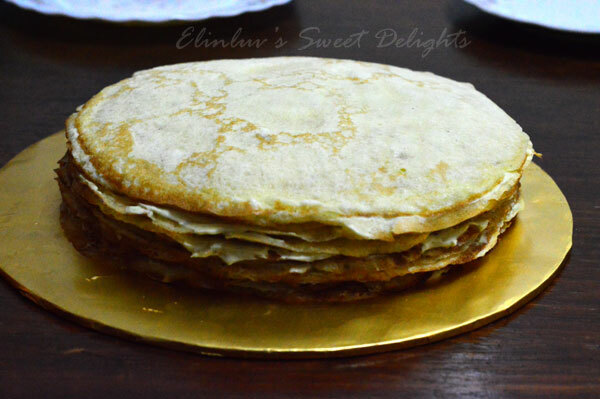 Whip the whipping cream until soft peaks. Add in sugar, green tea powder and vanilla extract and whip until peaks form. 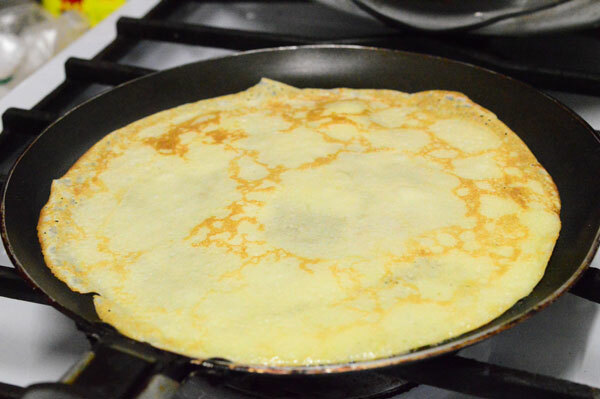 Place 1 crepe on a flat serving dish. 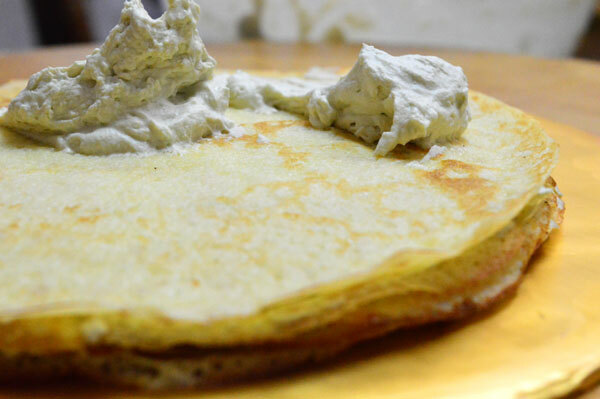 Spread about 1/4 cup green tea whipped cream onto crepe. 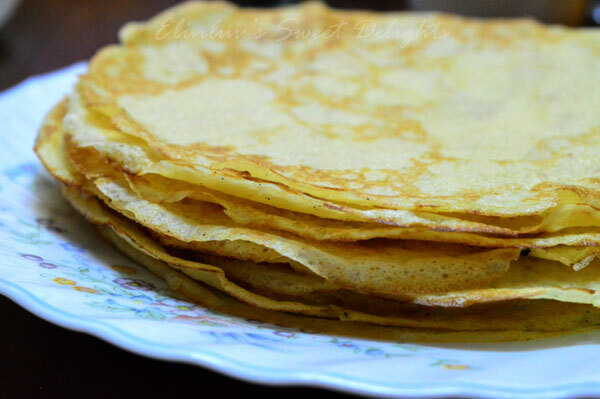 Top with 1 crepe. 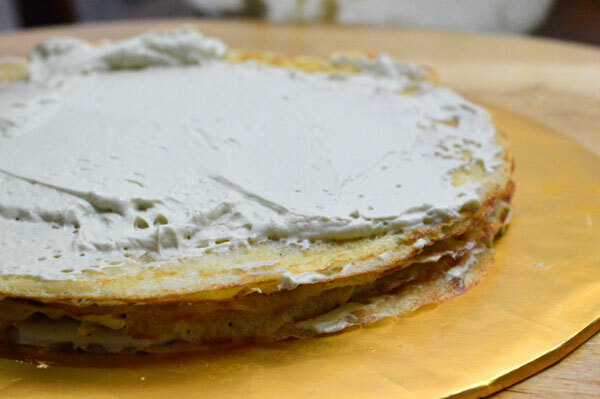 Continue layering crepes and green tea whipped cream (Use 15 crepes, ending with a crepe on top.) Refrigerate until firm, about 1 hour before serving. 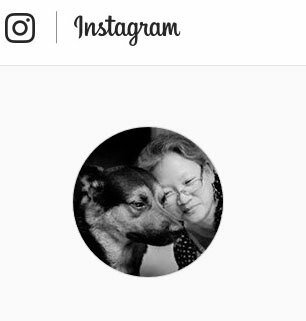 You both make a good team! Have a great day!